Dr. Jeffrey J Glaser always appreciates feedback from his valued patients. To date, we’re thrilled to have collected 3 reviews with an average rating of 5 out of 5 stars. Please read what others are saying about Dr. Jeffrey Glaser below, and as always, we would love to collect your feedback. I have been receiving treatment from Dr. Glaser and his team in both 2017 and 2018, and the end is in sight, I hope. I am extremely thankful that I learned about Dr. Glaser, and wanted to share some of what I have experienced, whether at home managing appointments, in the waiting room before a procedure, or "in the chair": - There has never been any criticism or judgement. Yes, poor dental hygiene is the reason that I need the procedures, but that is not commented on, or reflected on. It has always been about "this is the situation, here are the options to correct that situation. This is a huge step to making me believe that we are all aligned on getting to a successful end state, not on re-hashing the past. Good hygiene habits and patterns are shared, but shared in a neutral manner, not shared in a judgmental way. 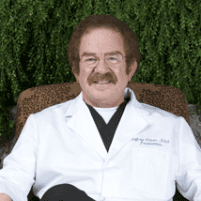 - Dr. Glaser knows his stuffl i feel totally at ease with the knowledge and wisdom of Dr. Glaser, and he presents the information in a way that is understandable. He takes the time to explain what is happening, what he needs to do, the various steps of the process, and what each individual visit in the chair will entail. I am very much at peace with the skill and ability of Dr. Glaser. - The right balance is achieved, encouraging me to make the necessary appointments that are needed, following up with me when the time has slipped by, and doing so in a way that is focused on the goal - the treatment - not the behavior. Again, I have sensed that the team is focused on getting the required treatment completed, and helping me going forward. - Excellent information has always been shared on the costs, the insurance contributions, my financial responsibility, and how I can consider the scheduling to maximize the yearly deductibles. - I am always greeted warmly when I step into the waiting room - even when I forgot that I had cancelled an appointment and still showed up. The staff was able to fit me in a couple of days later, and were friendly about my memory lapse! I mentioned that I have a peace when I am in the chair. I was reflecting on this during my last visit, and drew these conclusions as to why: - The ability of Dr. Glaser - The sharing of information by Dr. Glaser - he takes the time that I need, not that he has available. The encouragement of the team ("Keeping breathing through your nose - you're doing a good job!") - There is no doubt that Dr. Glaser is the team leader. I sense a great deal of respect from all team members. - I also sense mentoring and teaching, when Dr. Glaser explains what he is doing, or why he wants a different sized drill bit, or what he is looking for in the x-ray pictures. I also sense an openness within the team. When one of the team wants Dr. Glaser to repeat what is needed, or asks "Do you need...", the response is positive, not demeaning or degrading. As a patient in the chair, hearing team members ask questions tells me that there is a very open and engaged collaboration. I can tell that there is an openness to ensure that everyone is aligned and knows what is going on, and that is very comforting to me. It is calming to know that questions are allowed, so that answers can be shared. I am sad that I am not allowed to have my crown provided by Dr. Glaser and his team, but I am thankful for how he has helped me so far. Know that I fully intend to continue my visits for my quarterly cleanings - the friendly attitude of the hygienist, the encouragement that is extended, and the great clean feeling of the baking soda (I think that's what it is) To Dr. Glaser and to all of you that make this such a wonderful team-thank you for what you have done for me in 2018, and here's to 2019 to wrap up this particular course of treatment!! I wish you all a wonderful new year. Melvyn T.
Dr. Glaser and staff did a phenomenal job with my implants. They were professional and made me feel well taken care of. Highly recommend!